Method of projecting the sun's image through a refracting telescope onto a screen in a darkened room (camera obscura) in order to study sunspots. 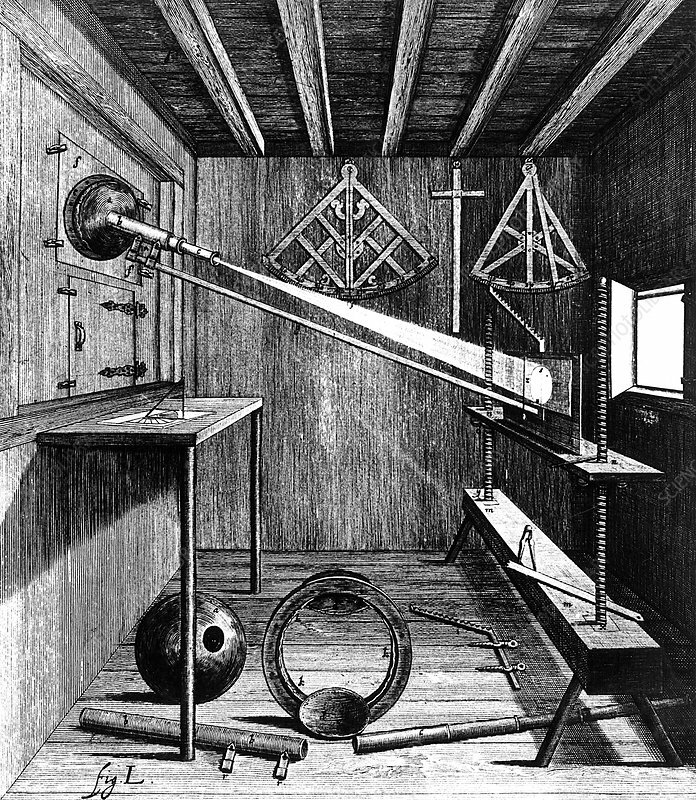 From Selenographia by Johannes Hevelius (Gedani, Gdansk. Danzig, 1647). Engraving.